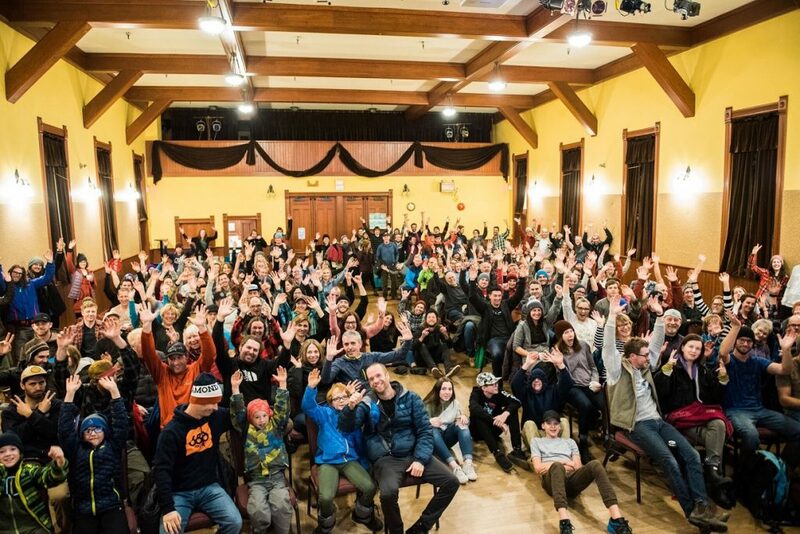 We did our first showing of ALL IN at the Miners’ Hall in Rossland, and it was packed! Tickets sold out before we even officially opened the doors, plus a solid 30 folks opted to sit on the floor or lean against the walls to take it the show. So if you live in proximity to Nelson, what are you waiting for?? Get online and reserve your tickets today for a guaranteed seat :). Thank you to the Rossland Sustainability Commission for their invaluable contributions, our volunteers who make these events possible, Out of the Cellar for selling advance tickets for us, and our sponsors for donating prizes: Powderhound, The Josie Hotel, Madhu Collective, Prestige Resort, Rossvegas, Butch Boutry Ski Shop, and RED Mountain Resort. Stay tuned for more snow themed events in the new year!